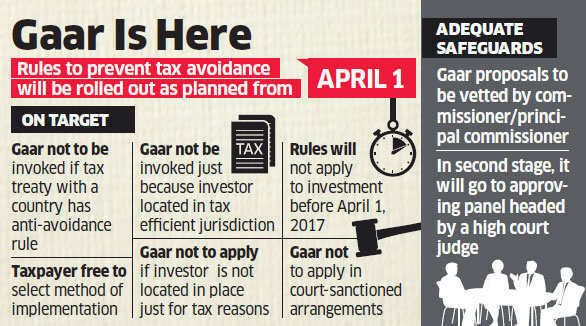 The Narendra Modi government issued clarification that GAAR, that is General Anti-Avoidance Rule, will come into effect from April 1, 2017. The General Anti Avoidance Rule (GAAR) provisions shall be effective from the Assessment Year 2018-19 onwards, i.e. Financial Year 2017-18 onwards, the Finance Ministry said in a press release. According to the press release by CBDT (Central Board of Direct Taxes), GAAR provisions shall be effective from assessment year 2018-19 onwards, i.e. financial year 2017-18 onwards.